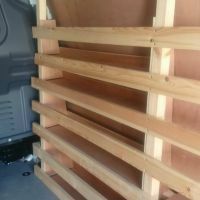 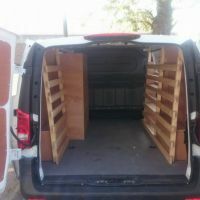 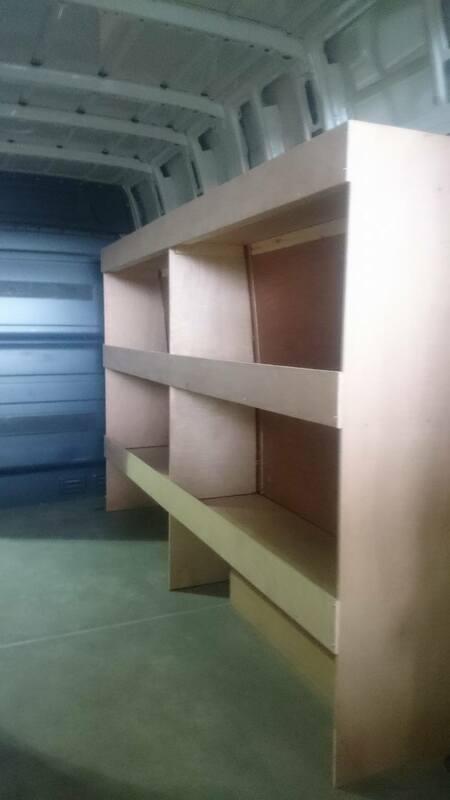 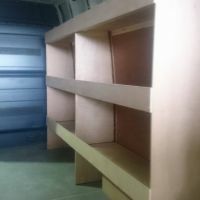 We design and build custom plywood shelving to your exact specification. 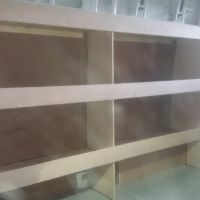 Bespoke ply shelving including dividers. 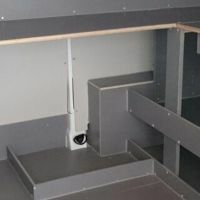 Custom built workstation constructed using grey hexa, grey worktop & grey polystar sides. 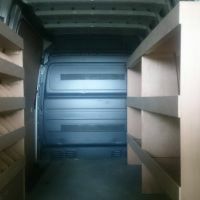 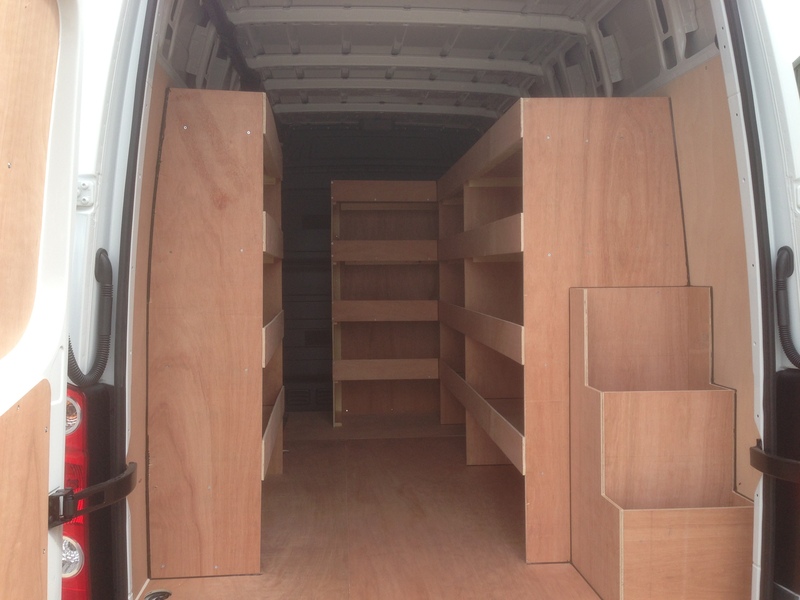 Ply shelving built to customer’s requirements, 3 tier n/s & o/s + false floor. 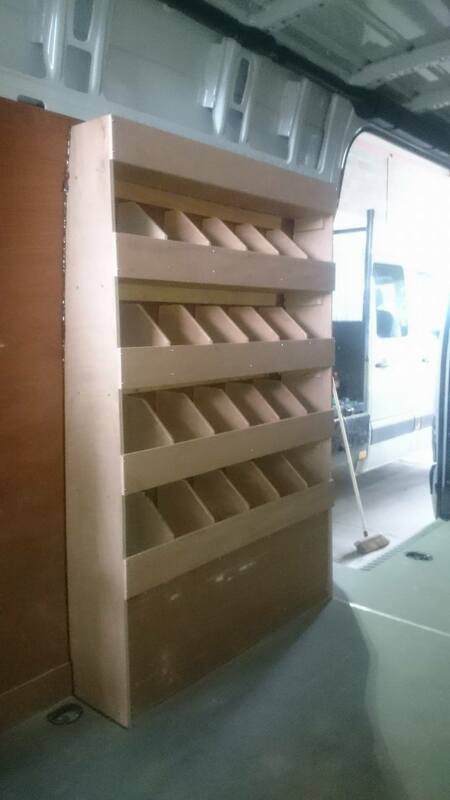 3 Tier ply shelving to o/s. 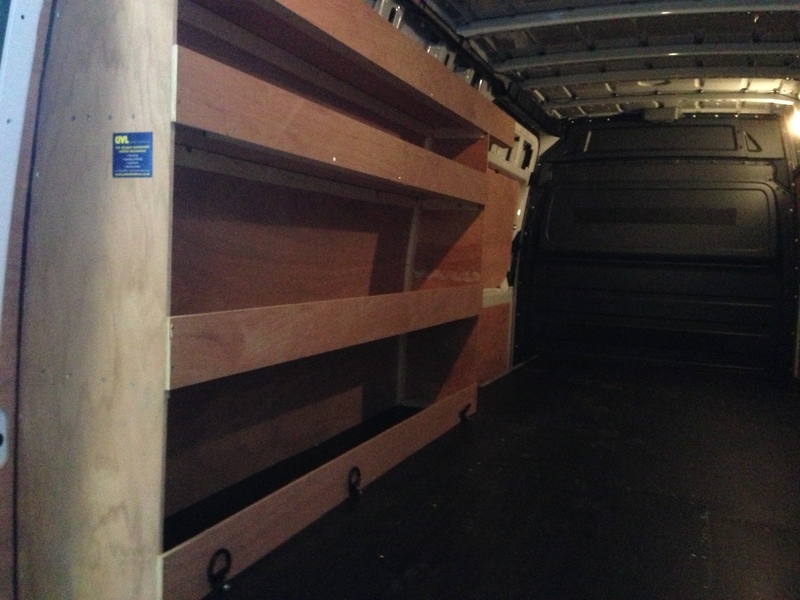 Bespoke 3 tier ply shelving to o/s & n/s. 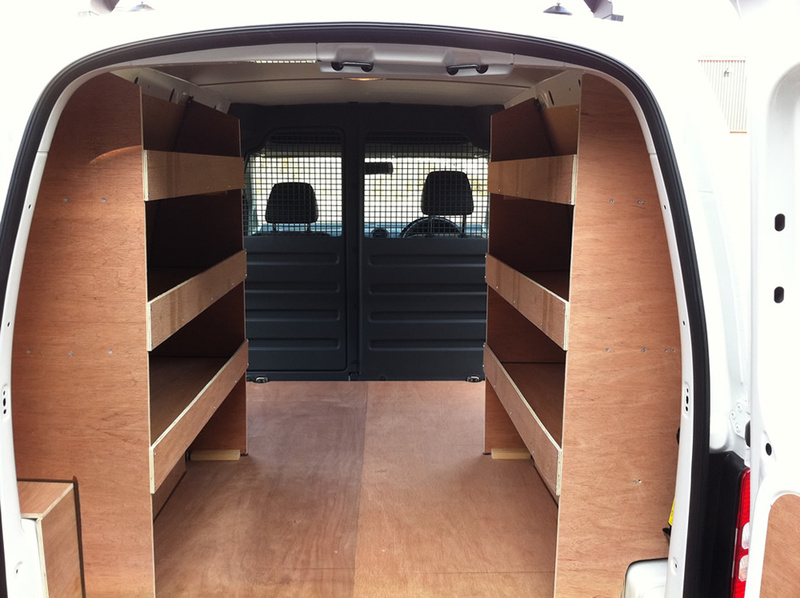 Custom build with false floor including dividers & 4 tier n/s ply shelving. 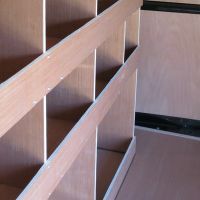 Bespoke n/s 4 tier ply shelving. 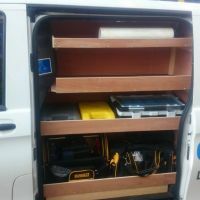 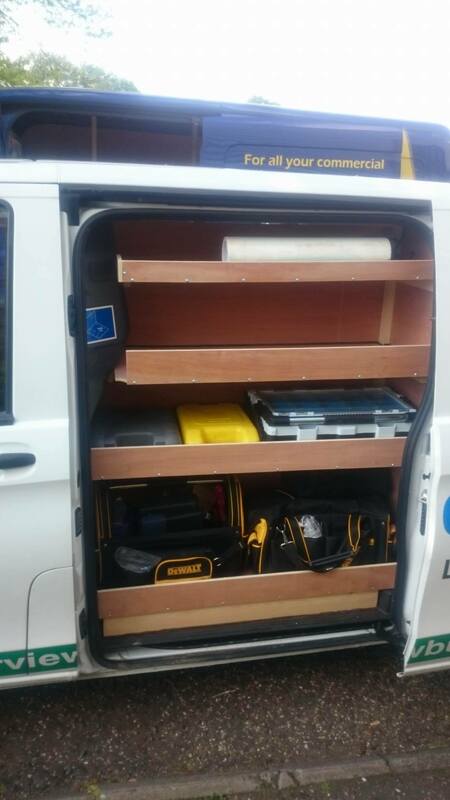 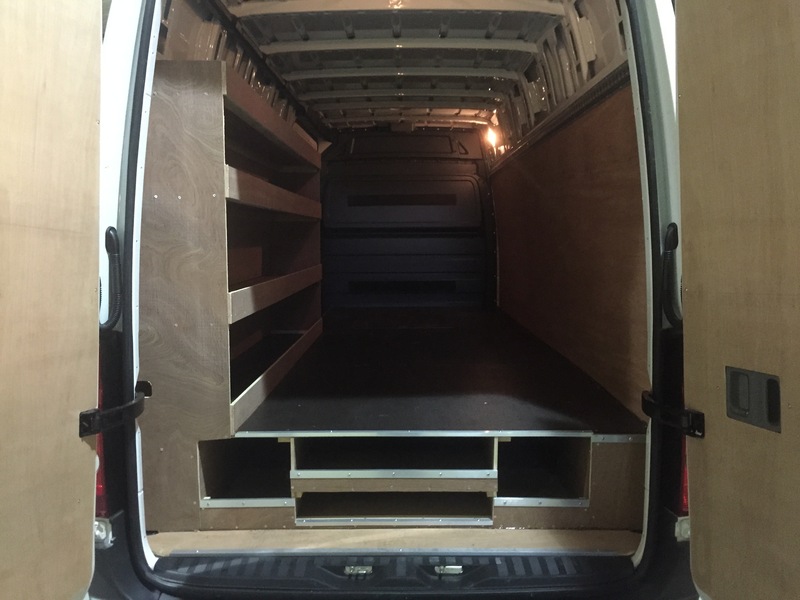 Bespoke 4 tier ply shelving to n/s, o/s & bulkhead area + o/s rear bespoke shovel holder. 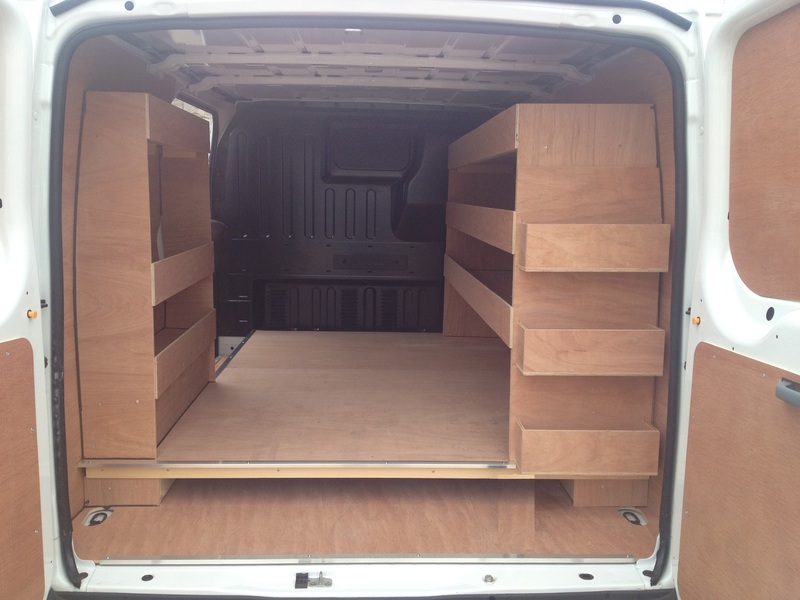 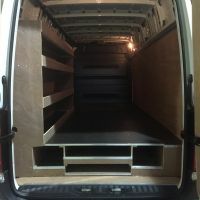 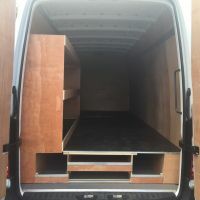 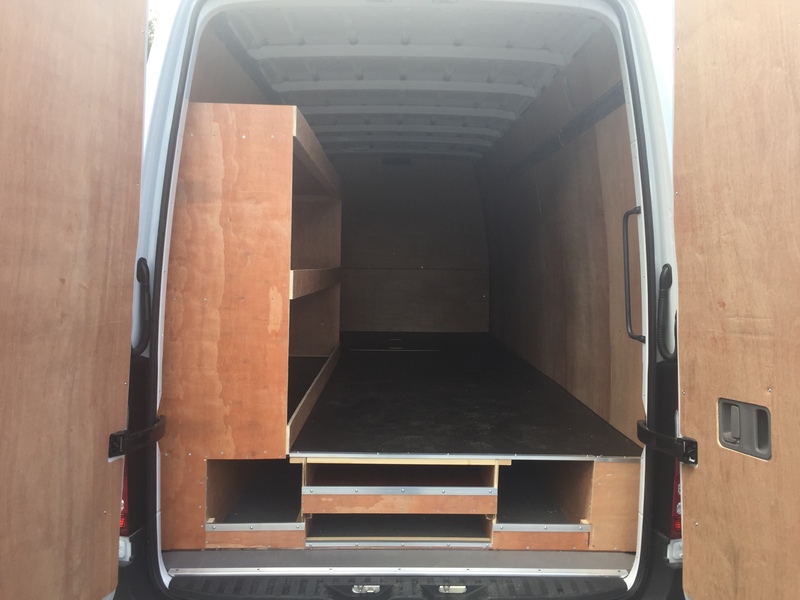 Built to customer’s requirements, false floor including dividers & 3 tier n/s ply shelving + ply bulkhead. 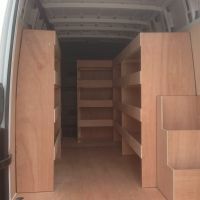 Bespoke 4 tier ply shelving including dividers to n/s & 3 tier open shelving to o/s. 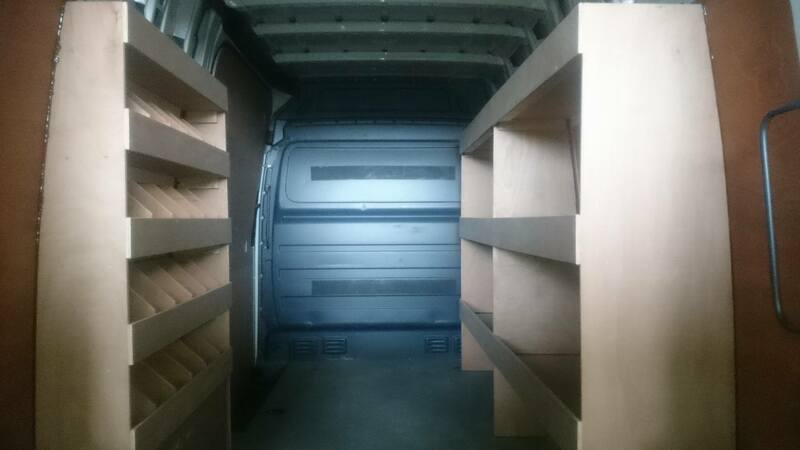 3 tier open ply shelving to o/s. 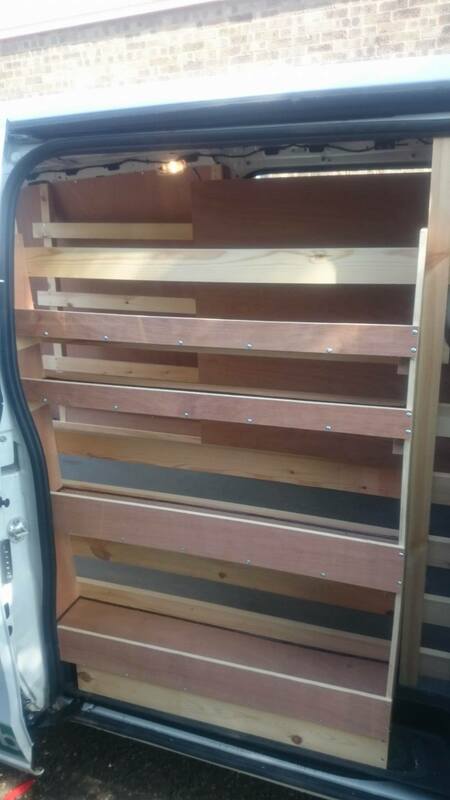 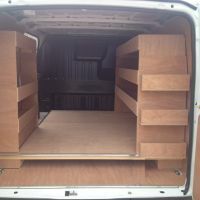 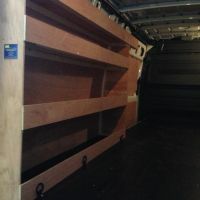 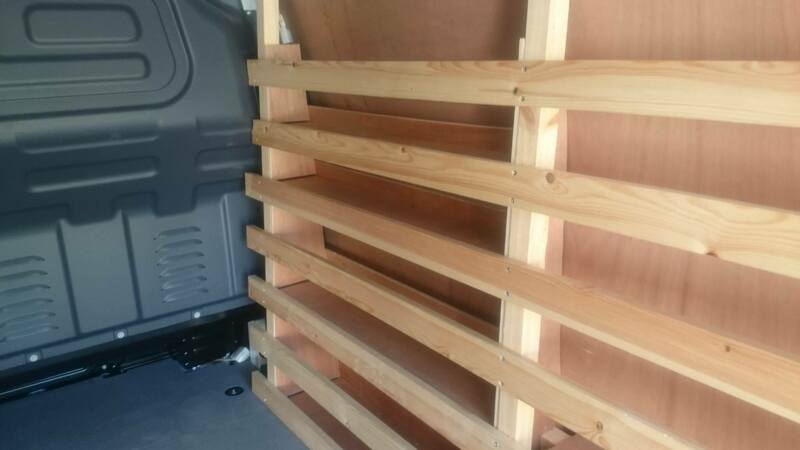 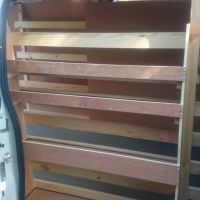 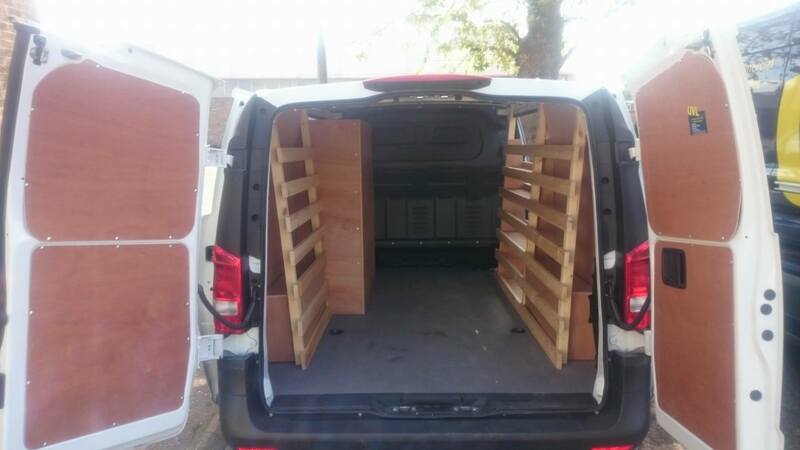 3 tier open ply shelving to n/s. 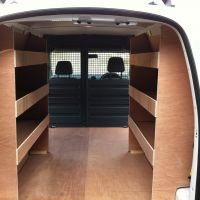 Bespoke 4 tier ply shelving built in o/s sliding door area. 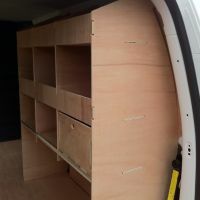 Custom built 4 tier ply cupboard style shelving to n/s sliding door area. 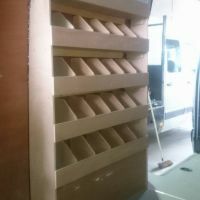 Bespoke wooden window rails built on the n/s & o/s. 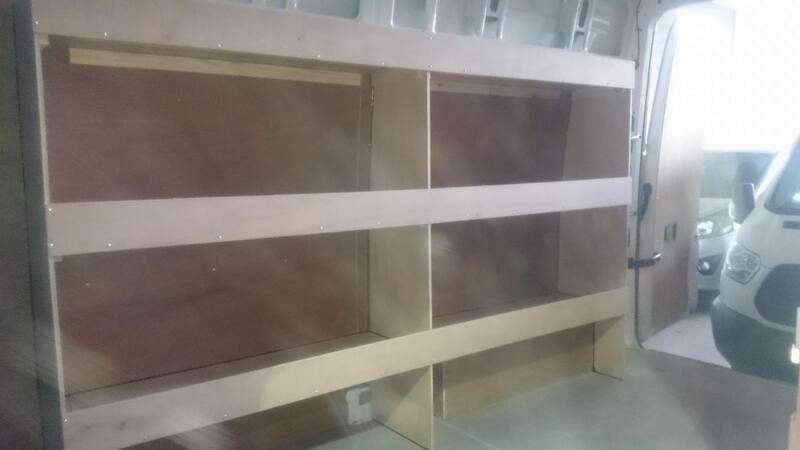 Custom built wooden window frail including o/s shelving to sliding door area. 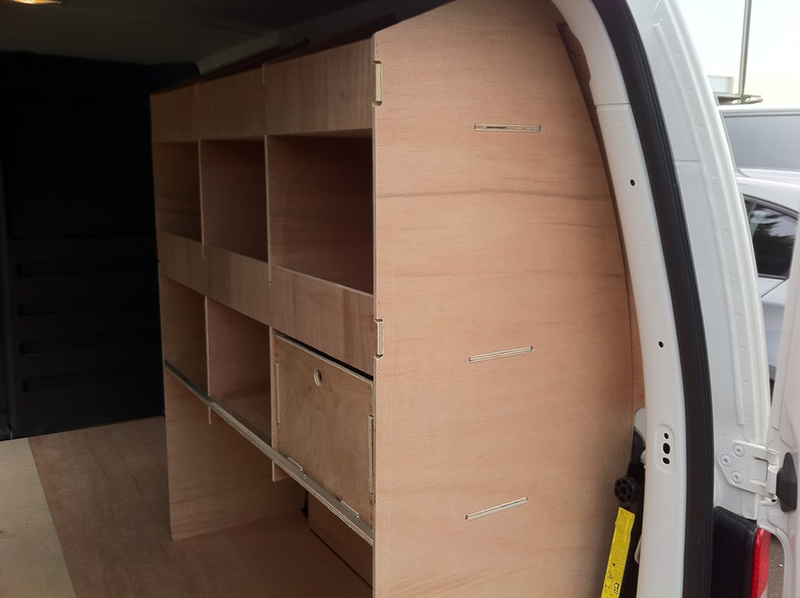 Bespoke 5 tier n/s ply shelving including dividers.